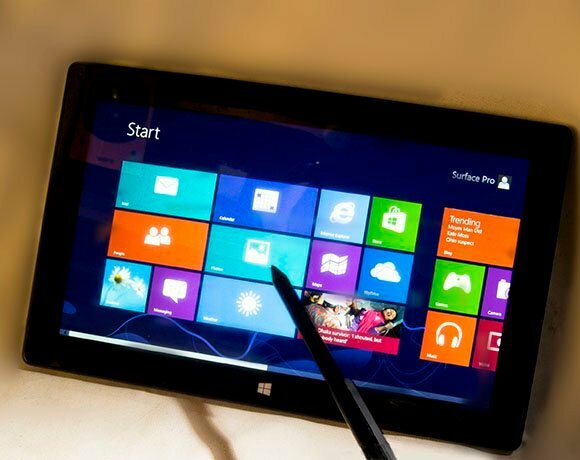 Following the launch of Windows 8 and the Windows RT-powered Surface tablet, Microsoft is introducing a full-blown tablet for Windows 8 Professional. Since it introduced Surface, a number of CIOs have been keen for Microsoft to develop a higher specification tablet, able to integrate more seamlessly with the corporate IT environment. This is where Surface Pro fits. It runs the full version of Windows 8 Professional, which means people can install any Windows 8-compatible application, not just those available in the Windows Store as was the case with the more limited Surface tablet. The majority of Windows 7 applications should also be able to run on the Surface Pro without modification.